We offer national tours as well as extreme sports full of adrenaline to make your vacation unforgettable. Hotel Ruta del Sol is located in the center of the Julio Izurieta Malecón. We have rooms that have ocean view and all basic services. We offer you the best Amazonian gastronomy with fresh and cultivated products in the area. Suchipakari Amazon Rainforest Ecolodge offers exciting adventures and Jungle Tours with activities for couples, families or groups, in the Ecuadorian Rainforest. Known as "Fishermen's Cove". In front of the coast you can see a lot of small boats, which is a tourist attraction for the visitor. In its interior are the wells of sulfur water, with healing properties. To the north are hard sand beaches, calm waters and rock pools. The festivities of San Pedro and San Pablo, celebrated on August 24, recognized throughout the region, which constitutes a tourist attraction. Canton Jaramijó is located towards the west sector of the province of Manabí. Its geographical location is as follows: 9'896,000 to 9'895,000 east longitude and 540 to 541 north latitude, referred to the Greenwich meridian and the zero parallel or equatorial line, respectively. Jaramijó has tourist strongholds among which its beaches such as Punta Blanca or Cabo de Jaramijó, Playas de Balsamaragua or Salinas, Playas del Fondeadero, Pozos de Agua Azufrada. For this reason, it was declared a Tourist Heritage of America. Its great geographical benefits outline it as a residential, tourist and industrial development pole. The town of Jaramijó has been the scene and protagonist of innumerable historical events, which stand out in the National context. Jaramiassu thus met this town of fishermen, before the arrival of the Spaniards to America. In the surroundings of the Tambillo site and certain places of attractions of the Canton we can see varieties of Ceibo, Algarrobo, Cactus, Perlillo, Mullullo, Eucalyptus, Pechiche, Palo Santo, Cascol, Granada, Palo de Cereza, Palo de Mate. We can find the following species within the territory: Lazy Bear, Squirrels, Deer, Chivos, Fox, Snakes, Doves, Tigrillo, Lizards. A more of Gallinazos, Parakeets, Pelicans, Red Pechi (Copete Rin) Chaguiza, Garrapatero, Swallow, Parrots, Chague, Blue Dove, Dove Frijolera and varieties of insects and domestic animals. We find a diversity such as Crayfish, Oysters, Lobsters, Prawns, Shrimp, Octopus, Squid, Chiricue, Churros, Carita, Spoon, Colorada, Bonito, Sierra, Pinchagua, Camotillo, Cabezudo, Caballa, Moreno, among others. The Lighthouse is of great importance for the inhabitants of the Canton, it is located in the Punta de Jaramijó that separates the beaches of Manta, located 20 m from the Canton, from the shore of these beaches you can see the whole natural landscape, its transcendence It makes an attractive and helps guide the course to the vessels that are on the high seas. According to the historis this place was inhabited by the Jaramiassu tribe. Located at a distance of 43.1 km from the Province of Manabí and 4.1 km from the city of Manta; Reaches a height of 15.m. above sea level, average temperature 25-29 ° C, annual precipitation of 250-500 mm; dimensions of 150 to 200 meters, it has approximately 1 km., its entire length is covered with sand, the northern sector being the most stony water quality of light green color. The distance from Jaramijó to Punta Blanca beach is 2.5 km; access roads, advisable time for bathers is from 06:00 to 18:00. 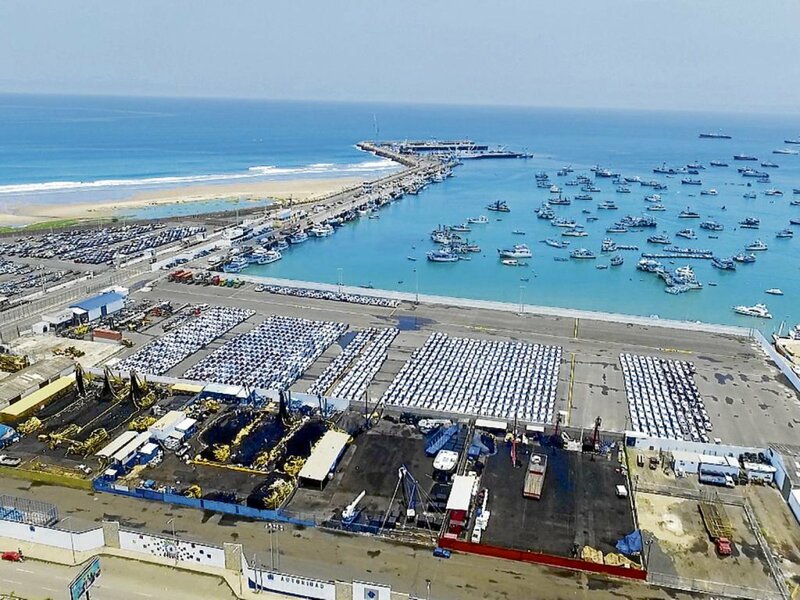 With the construction of the port of Tuna dock, the influx of the same has decreased. Ideal beach for diving activities, outdoor walks, has 1 km all its extension. the distance from Jaramijó to Punta Blanca beach is 2.5 km from Jaramijó. It has approximately 6Km in all its coast, it is inside the Naval Base of Jaramijó. It is located north of the canton, is characterized by being a safe beach, its connection with nature is immediate because it is in a secluded area, it takes its name from Balsamaragua due to the historical events that took place in front of these beaches in 1884, commanded by General Eloy Alfaro Delgado. These beaches are conducive to family relaxation, health walks, diving, sport fishing, in addition to possessing historical wealth, the salt beach is located in the same place, next to the river Chillan, the origin of the name of this beach is it owes to that the first families that settled in Jaramijó were dedicated to extract salt of this place, like a way of subsistence, at present this beach is very visited by the tourists of the resources that we can appreciate inside these beaches is its fauna marine and flora. Located on the side of the entrance road to the Canton, it has approximately 300 linear meters with a dimension of 2 miles wide and a mile away from the shore, you can do diving activities, sports fishing, fishermen will be able to craft fishing boats, its water quality is transparent and quiet, in the same we can find the different boats that are dedicated to artisanal fishing you can see the work done by fishermen who fix their fishing equipment and repair their boats. to the beaches of Salinas and Balsamaragua. Underwater basin of sulfur water, is located within the beaches of Punta Blanca, with a height of 50msnm, average temperature of 25 to 29 ° C, rainfall of 250 to 500mm is frequently visited by domestic and foreign tourists for the medicinal properties they possess its waters for different diseases of the body (the skin). On the well of sulfuric waters, a story is told that is told by our ancestors where it is said that many years ago a group of foreigners arrived with a company that was dedicated to extract oil. Sometimes an old man approached to beg, the tired gringos who always came to the almoner answered rudely and sent him to work, the old man cursed them saying "What you hope to find will become water, which will only serve to cure the sick. " From that day the well emanates sulfuric water and is visited by locals and strangers seeking a cure for rheumatic or skin diseases. Located on Calle Alfonso Darquea and Galo Plaza, it comprises an area of ​​1,157.3 m2, its structure is made of reinforced concrete in the shape of a stairway, erected in honor of General Eloy Alaro, with a monument in the center, alluding to the battle Balsamaragua performed on December 6, 1884. The most representative character who commanded the ship Alajuela against the ships of the Government of that time; El Wuacho and Santa Lucia. Every December 6, the Municipal Autonomous Decentralized Government performs a Civic Cultural Student parade to commemorate the historic date of Balzamaragua.